The Irwin Colour Mixing kit is designed to demonstrate primary and secondary colour mixing. The kit comprises, essentially, a scaled up version of our small colour mixing apparatus. 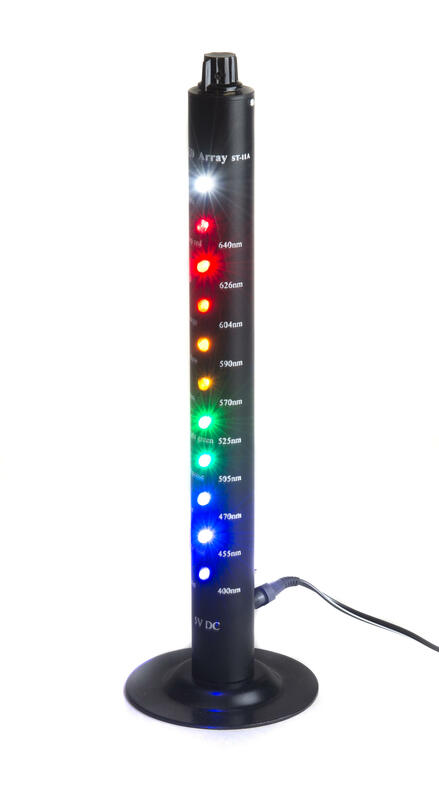 A robust, upright case contains three, high powered accurately colour matched LEDs, each of which has infinitely adjustable brightness. 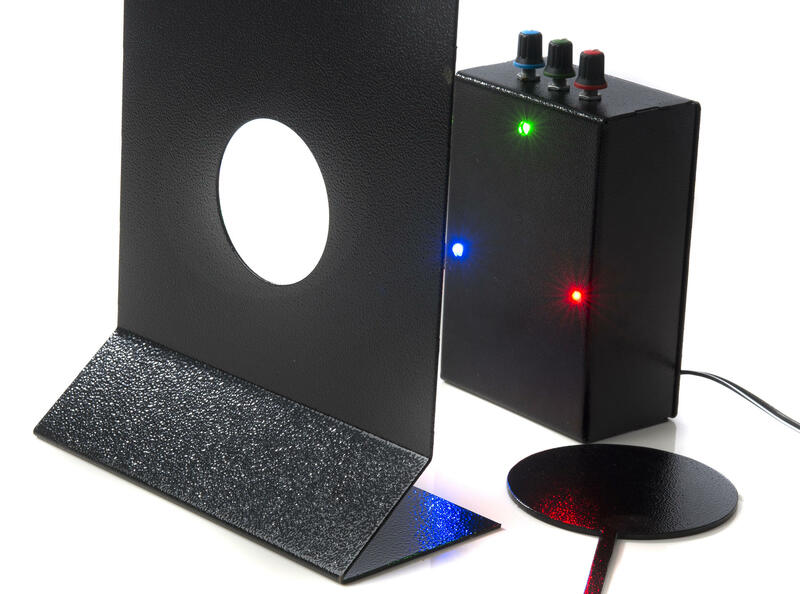 Also supplied is a large, free-standing, primary colour shadow mask, a handheld secondary colour mask and a 12V plug-top power supply. The system allows the teacher to project large primary and secondary colour mixing disks onto any vertical surface and to adjust the colour saturation to mix virtually any colour (How do you produce brown?). Unlike other systems the purity of the resulting white is outstanding. 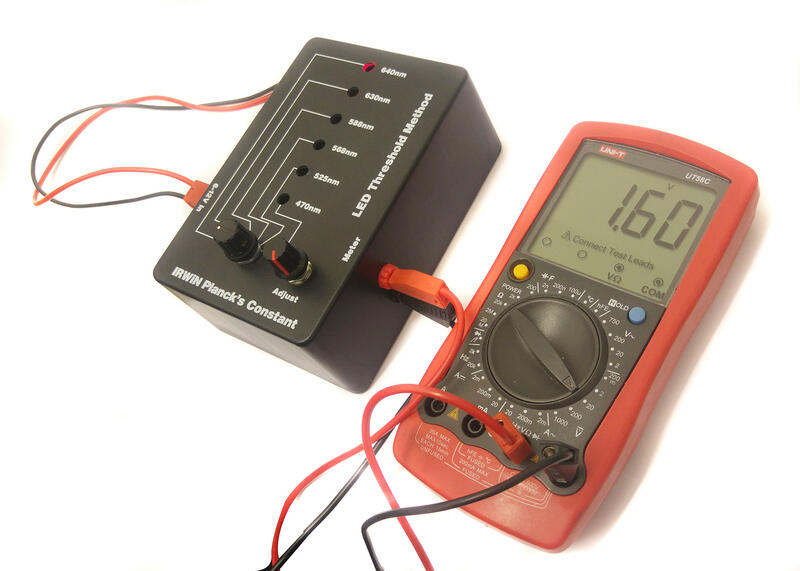 The unit is extremely easy to use, is easily transportable and comes with full instructions. The only other requirements are a white wall and a darkened/blacked out room. 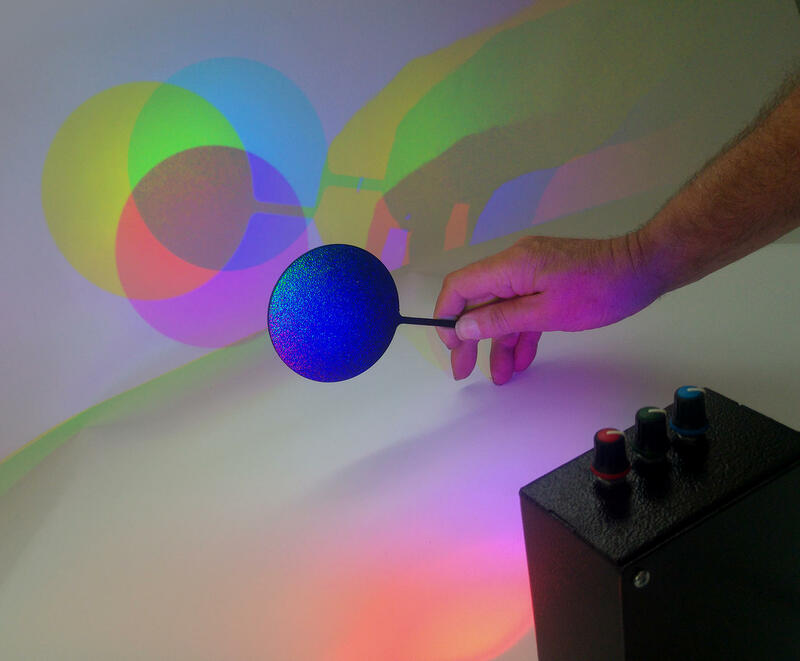 The system may be used to demonstrate both secondary and primary colour mixing, colour shadows and colour reflection/absorption.